Film producer David Furnish let slip in a recent interview that the couple are lining up the eccentric singer to play an important role in the life of their two-month-old son, who was born on Christmas Day via a surrogate mother. When asked about rumours they would choose Gaga by Canadian website macleans.ca, he replied: "We haven’t publicly confirmed that yet but your sources are very good! “I prefer not to comment on it because we are going to make a statement about Godparents later on." 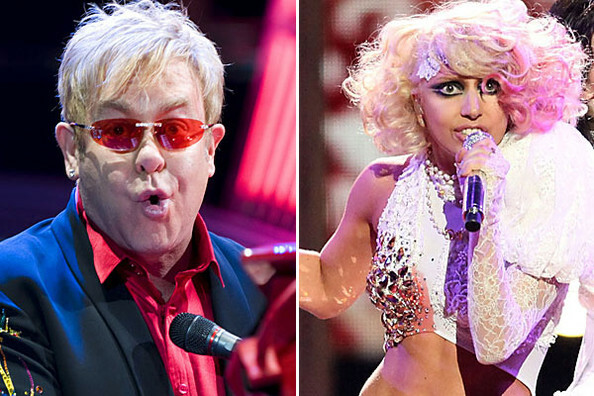 Elton and Gaga struck up a friendship after performing together at the Grammy Awards in 2010, and David further praised the singer – who composed her latest track ‘Born This Way’ about social inclusion and has called it a “gay anthem” – for her broad-mindedness and personal connection to her fans. He said: “She’s all about inclusiveness and tolerance. She believes that you can be whoever you want to be and that we don’t have to live in a world of conformity and that we can all benefit from individuality. David, 48, also explained how this message is what he feels makes Gaga an ideal role model for Zachary. David is a Godparent himself, to Elizabeth Hurley’s eight-year-old son Damian, while Elton is Godfather to Victoria and David Beckham’s eldest two sons, Brooklyn, 11 and eight-year-old Romeo.